I arrived in Nuestra Señora de La Paz (Our Lady of Peace) with little time to spare. 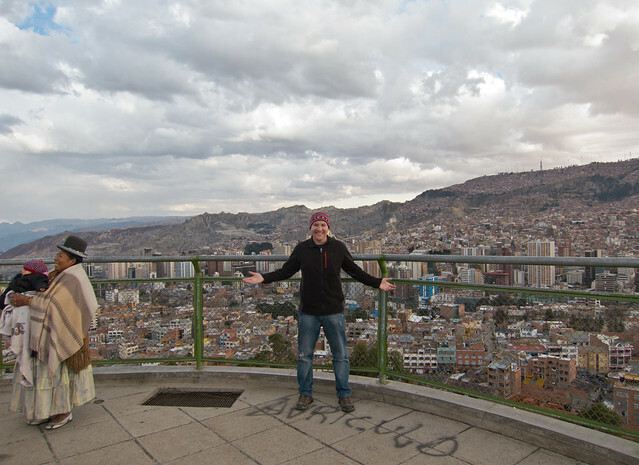 My 2012 journey across South America, from Uruguay through Argentina, Chile and now Bolivia was drawing to a close. The time crunch was due to a scheduled trip into the Peruvian Amazon. 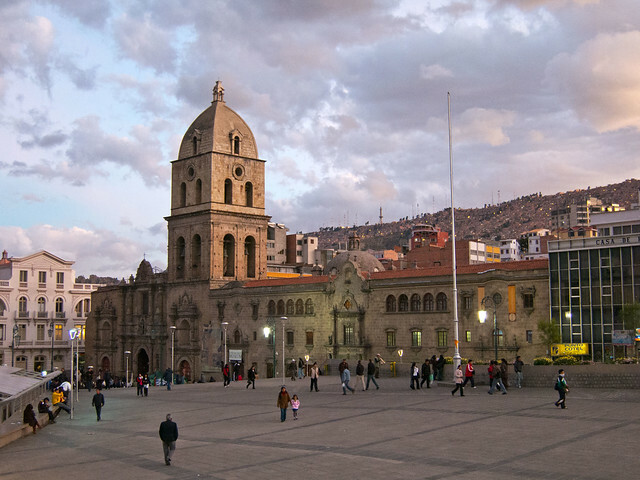 Before leaving the semi-tropical warmth of Santa Cruz de la Sierra, I posted a message on Facebook asking friends what I should see and do during my less than 24 hours in the Bolivian capital. More than one suggested I find a way into San Pedro Prison, an idea I was willing to entertain given I trusted the two friends suggesting it, but more on that later. I flew into La Paz's El Alto International Airport (4,061 m/13,325 ft), the highest international airport and the fifth highest commercial airport in the world, on Boliviana de Aviacíon, arriving mid-afternoon. 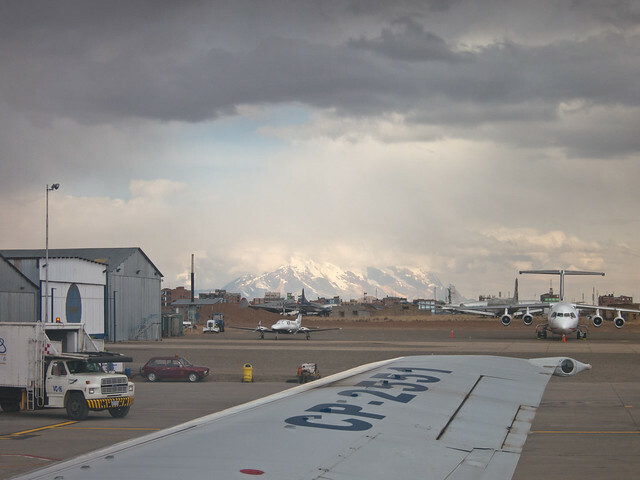 Due to the thinner air at such a high altitude, the runway is much longer than you'd find at a normal airport. It took a noticeably longer amount of time for us to land. The brief and inexpensive flight saved me one to two days worth of bus rides on what I read were bad roads. 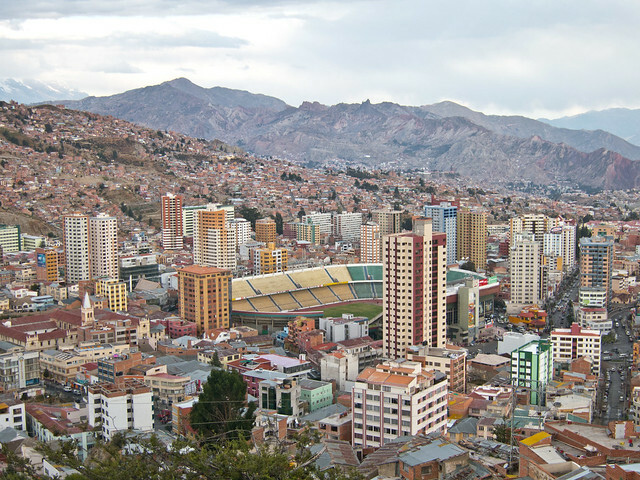 The city of La Paz is actually located 8km away from the airport, down in a valley. The good news is the altitude is slightly less when you're in the city center than at the airport, but given I was coming from Santa Cruz, which was close to sea level, a few hundred meters wasn't going to make a big difference to my body. I knew I had a few hours worth of adrenaline and energy to work with before the elevation would wear me down. I acquired a taxi, and we made our way down to the city center. I had decided to stay at Wild Rover Hostel as it had the highest customer rating on Hostelworld. Unfortunately, that's not saying much. There are no stand-outs when it comes to hostels in La Paz, so despite it being a party hostel, I decided to grin and bear it for a night. My belongings dropped off in a small dorm room at the Wild Rover, it was time to make the most of the few hours of daylight that were left. I flagged down another taxi, and asked him to head for the scenic outlook point. My first priority was some macro shots of the city as a whole. The lookout point offered exactly the kind of views I was after, and while the skies were overcast, there was still enough light left to get some decent photos. It was interesting to see how the more modern apartment buildings had been erected around the soccer stadium. It was clearly one of the wealthier parts of the city. Returning to the same taxi, which I'd asked to wait for me, I directed the driver to San Pedro Prison. He dropped me off in a small, unassuming park across the street, where I didn't quite know what to do with myself. To read about why I wanted to visit South America's most notorious prison, and what happened when I tried that afternoon, check out my review of Marching Powder. 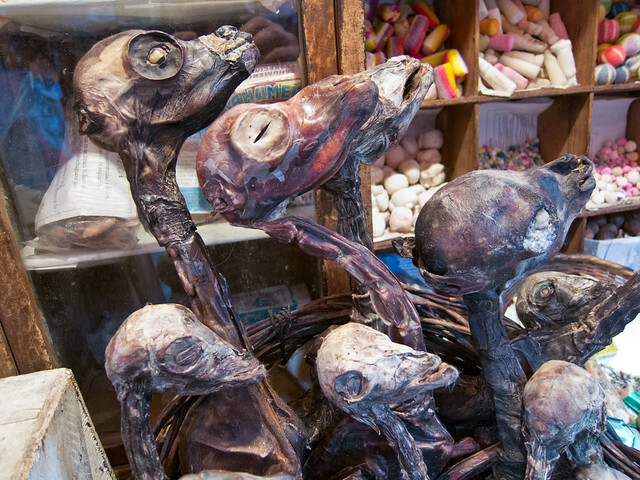 Drawn by the knowledge that you can find dried llama fetuses there, I headed to the Witches' Market next. It sounds ominous, but the market is nothing more than a collection of shops selling herbal remedies, and yes, llama fetuses to be used as offerings in religious ceremonies. On the comical side of the product spectrum, these shops also sell what's marketed as a variety of different dusts with magical properties. The cartoonish imagery and colors on the boxes reminded me of when I was a kid, and you'd see special “x-ray” glasses for sale in the back of Mad Magazine and other such children's magazines. But, given the amount of money the vitamin and supplement industry is making in the US these days, who am I to question Bolivians' desire to improve sexual function. From the Witches' Market, I walked down to Iglesia de San Francisco, a Catholic church built between the 16th and 18th centuries. Luck was on my side, as the church only opens at 4pm daily. I was able to take a quick peek in side (it's quite dark), before stepping back out onto the busy plaza for additional photos. The sky was changing colors as the sun began to set. I watched as rush hour unfolded around me. Nightfall was near, and while I didn't want to be wandering around without reason, I pushed onward to squeeze in a few more historical sites before calling it quits. 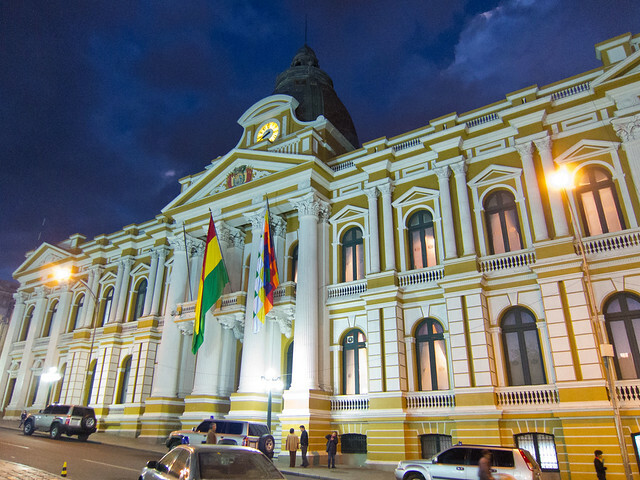 The yellow and white Presidential Palace looked grand lit up at night. Across the street is a park, which offers the opportunity to get wide photos of the facade. There's also a church next to it, the photo of which I love given the color of the sky at that moment. 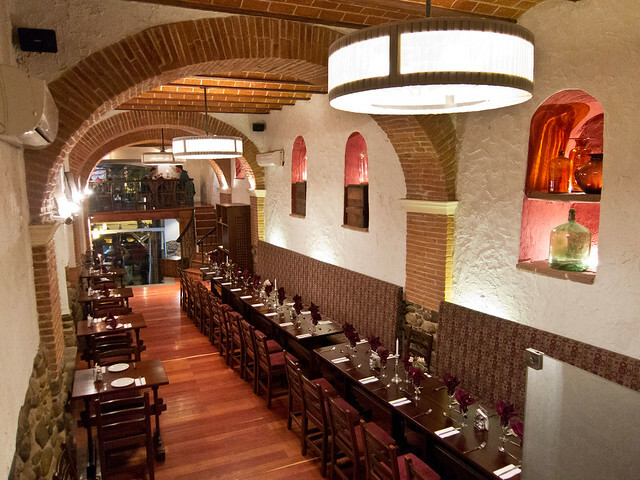 My last stop of the night, before heading back to the Wild Rover hostel, was La Casona (938 Mariscal Santa Cruz), a restaurant housed in a former monastery. 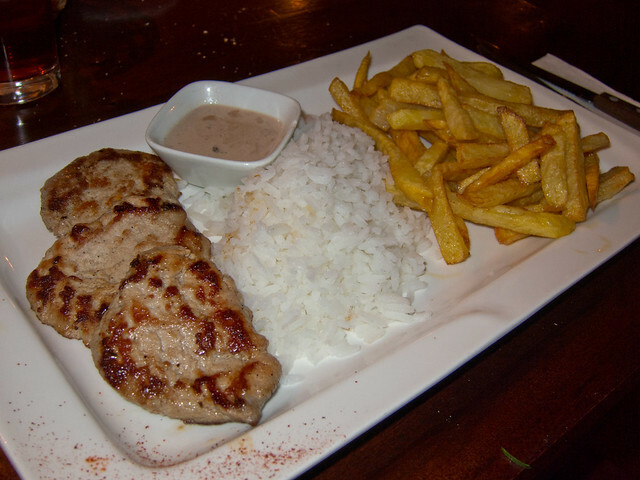 If I was only going to eat one dinner in La Paz, I wanted it to be at one of the best places known for serving traditional Bolivian cuisine. I began by ordering a local craft beer called Saya. The menu offered plenty of traditional dishes, including wild trout and chicharron, but once my eye caught the llama, I knew what I was ordering. I'd eaten alpaca several times in Peru, and wanted to see if there was a difference. In this case, it was simply grilled, and served with a bordelaise cream sauce. I wasn't blown away by the presentation, along with white rice and fries, but the meat itself tasted fine. Feeling good about my last night in Bolivia, I finished the dinner with an ice cream sundae. The total bill, including a soup of the day I'd ordered as an appetizer, and a bottle of water was $18. See their listing on TripAdvisor for more current reviews. The next morning I was up at sunrise. 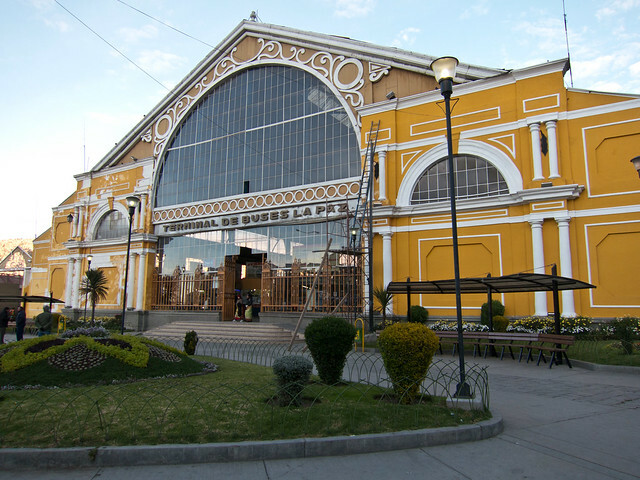 I showered and hailed a taxi to the unheated La Paz bus terminal, where I caught my two-day bus back to Lima. 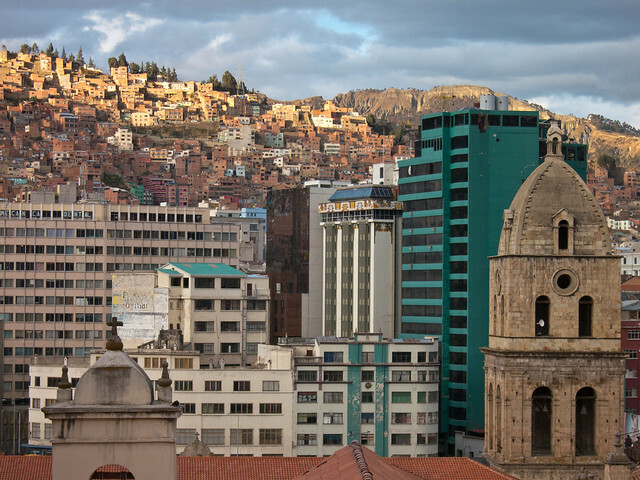 It would be the longest bus ride of my life, leaving me tired, sick and with what would turn out to be an incredibly painful back injury upon arrival in the Peruvian capital. 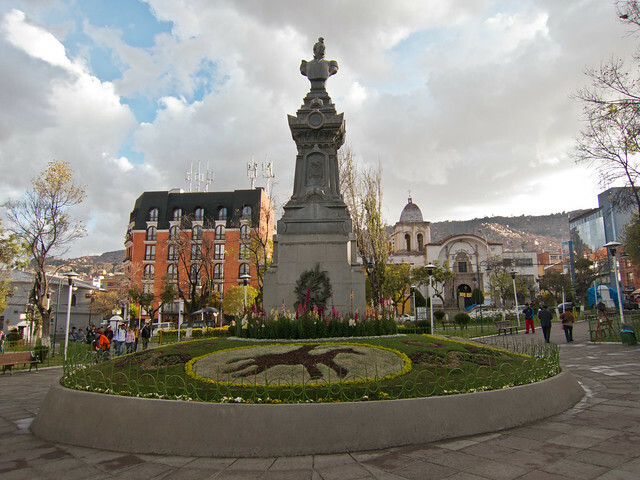 If you have more time than I did, check out these additional tips for things to do in La Paz. 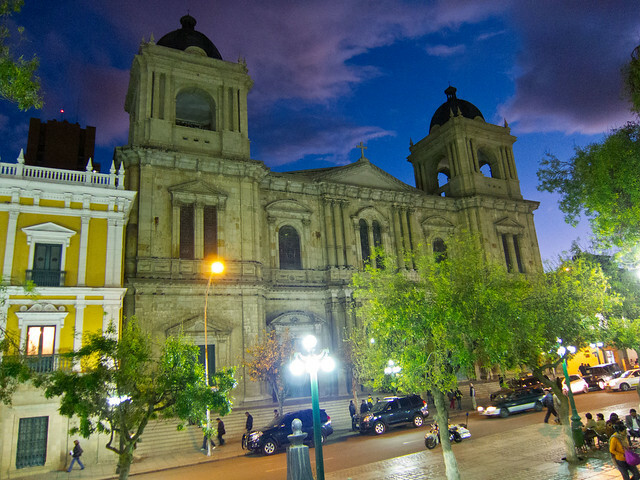 Thanks for sharing your beautiful images of La Paz! It’s one of my favorite cities, ever! I was there for St. Patty’s Day in 2013, stayed a week, and still felt that was not long enough. I lve the zipper-walking thru traffic and all the crazy beeping of the horns (although, that did get old! ).